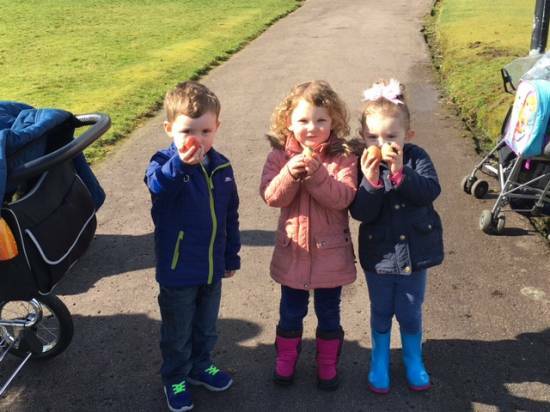 HELP Ltd welcomed all of their young parent service users and their children along to a fantastic Easter Egg Hunt in Dunoon’s Castle Gardens as part of the weekly TotsRus parent group programme. The very exciting and much anticipated Egg Hunt went brilliantly, and following this each child was invited to take an egg that they had painted the previous week and roll them all down the hill. Thanks to the sun shining brightly all afternoon everyone had a fantastic time, keeping the young mothers and their children well in touch with good old Easter traditions.